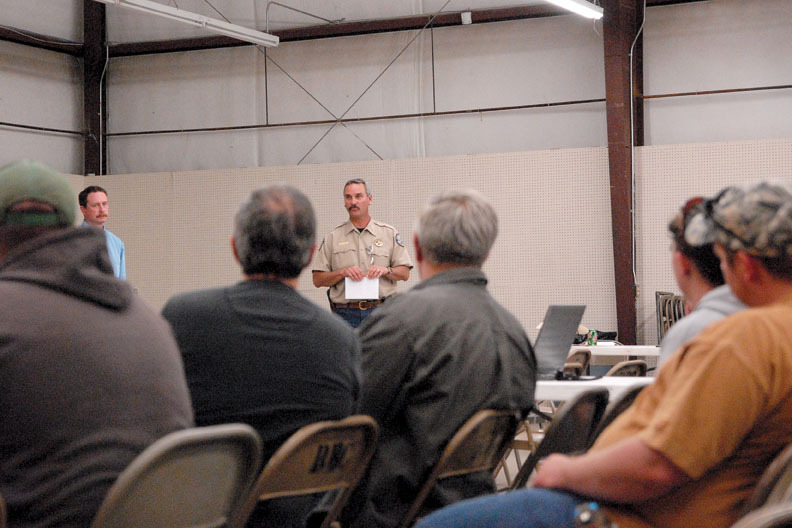 More than 70 people crowded into a Rio Blanco County Fairgrounds building Monday night to hear Colorado Division of Wildlife managers and biologists discuss the decline in the White River deer herd. Biologist Darby Finley and mammals researcher Chuck Anderson joined DOW managers Bill de Vergie and Bailey Franklin to discuss the hunting area surrounding Meeker. Finley told those in attendance that the White River deer herd has declined between 30 and 40 percent since 2000. The DOW is in the process of instituting a few studies to fix this problem, Finley said, but nothing will be instant. Franklin discussed different types of habitat manipulation the DOW is experimenting with. 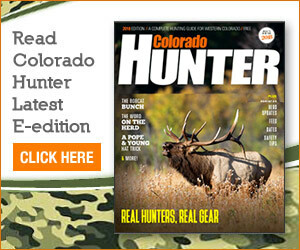 The changes in habitat, he said, are to provide better forage for deer. While the deer are in high elevation during the summer months, they stay in lower elevation for the winter, so transition ranges are also taken into consideration when the habitat changes are discussed. Anderson discussed the habitat developments further, saying the studies would go into 2016 and possibly 2018 in order for the DOW to get comprehensive results. DOW officers discussed the habitat for a majority of the meeting, but those in attendance seemed more concerned with how predators, such as coyotes, impact the numbers. Finley said there would be simply too much land to cover if the DOW decided to take on predators. The biggest fallout from the decline, Finley said, is limiting the number of licenses that can be handed out.